"the unseen, yet unbreachable barrier that keeps minorities and women from rising to the upper rungs of the corporate ladder, regardless of their qualifications or achievements." I would take the 'glass ceiling' principle a step further and refer to it as a real 21st century barrier for some corporate working women. Mainly because from its inception its become an accepted limiting belief that some employed women find difficult to change and present themselves in a more dynamic way. That's OK in the sense that with skilled confidence training those affected women could by choice break that glass ceiling. These women are purposefully held back because of their gender. Some minority men have experienced this as well. 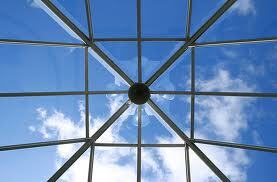 It's a publicised notion that the glass ceiling is no longer an invisible career crusher! I have news for you that it still exists and its used as a specific tool against women in work. However, I am delighted to share that women around the world have the opportunity to discover what is available to them and change the old fashioned glass ceiling into a thoroughly modern thriving concept. PMA - positive mental attitude: Mindset training for positive and productive results works. Busting the old fashioned idea of earning limiting amounts of money or only working to a particular level within the job arena; such as Manager rather than CEO.